I did not label any seedbeds because I would "certainly remember" but over the years I started to increase the size of the vegetable patch and a month or two after planting I was often wondering what I had actually planted. Many plants look alike when they are still small or while they are just about to germinate. Even for larger plants it can be very helpful to know what the name of the plant is. 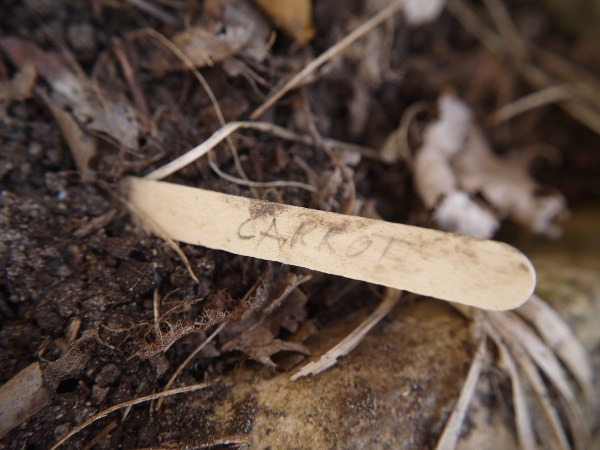 A few years back I decided therefore to label every seedbed after seeding and I used a piece of paper on a stick. It works more or less but only for a couple of weeks. After that the paper would be totally deteriorated and I was again wondering what exactly I had planted. I went then to plastic stripes cut out of yoghurt packaging and I would write on it with a permanent marker. 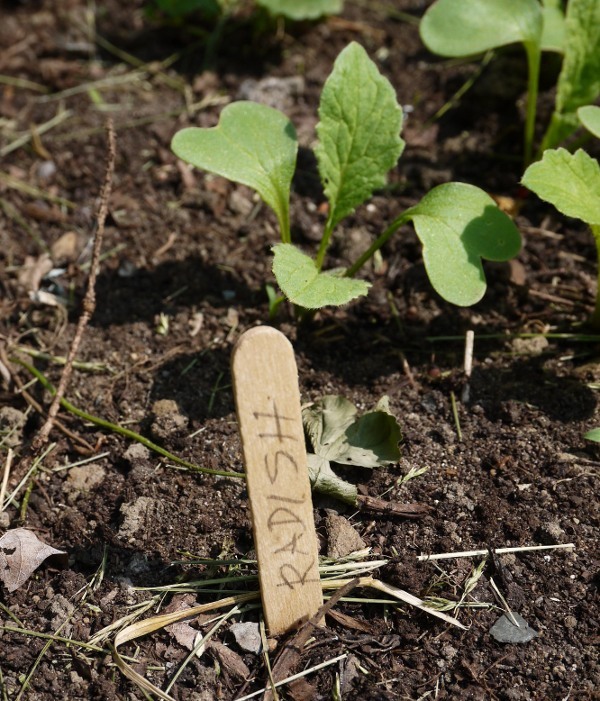 All the plastic pieces in the garden are really ugly and the permanent marker bleaches in the sun. The solution: wooden ice cream sticks. This is really the best solution and I can recommend it to everybody. You can get a big pack of those sticks for about two dollar and it is easy to dispose of any used sticks in the compost or just push them down into the ground to let them decompose there. I write on those sticks with a pencil. The graphite from the pencil is non toxic and does not bleach out at all. 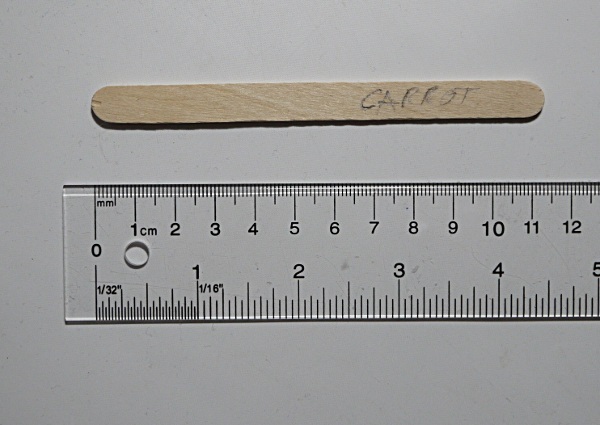 Those wooden ice cream stick are good for several years. They do barely deteriorate if they are able to dry out. On the other hand if you want them to decompose then just throw them on the compost and the permanent moist conditions on the compost will cause them to decompose within two years.